Collier Coach is managed by John M Rosenberg and his wife, Tara. John has been a full time resident of Naples for the past 24 years. Tara relocated to Southwest Florida from Toronto, Canada in 2011.  Under John and Tara’s management, Collier Coach has grown to the areas number one choice for TRUE luxury limousine and car service. Their approach has grown to what is now known as Concierge Ground Transportation. Collier Coach’s only goal is your 100% satisfaction. 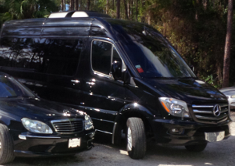 To accomplish this, Collier Coach uses only full time, year round staff and trusted professionals to provide the area’s highest level of service using the cleanest luxury and ultra-luxury vehicles, including, a custom hand built ultra-luxury Mercedes-Benz S55 AMG, our 2015 Mercedes-Benz Executive Custom Sprinter Limo Van, and many more. Collier Coach’s back office computer systems monitor all inbound flights and our fleet in real time to assure interruption free travel. We have management on staff 24 hours a day monitoring each active folio. Concierge Services are available 7 days a week to assist you in any other needs you may have. From the moment you book your reservation, our system and staff send you a travel confirmation and monitor your folio until we have dropped you off at your destination. We deliver the highest level of service, peace of mind and overall value like no other. At Collier Coach we understand that your time is precious and travel can be hectic. We make your travel with us stress free. Our courteous and professional uniformed drivers are on time, EVERY TIME! Sit back, relax and enjoy your journey! We look forward to serving your travel needs whether you’re here visiting our beautiful area or are lucky, like we are, to call Naples our home. In the unlikely event you are not 100% satisfied with your experience with us please contact us and we will correct the issue to your satisfaction. Thank you for choosing Collier Coach! Click on photo below for more fleet pics!